Woo, I am psyched! I’ve got some new and exciting ideas for this year’s summer sketching series. I hope a few of you artists will step up and share your input with me and our readers. Remember that in every aspect of our lives, we get back in direct proportion to what we give out. I guess that’s one of the many reasons for my continuance of this daily drawing challenge over the years. One of the changes I want to make to this blog is to really “K.I.S.S. IT!” or, “Keep It Simple Stupid” or as I like to put it, “Keep It Sensationally Simple”. I went online to see what kind of drawing instruction is available. And wow, there’s a lot of it and most of it is pretty darn good! 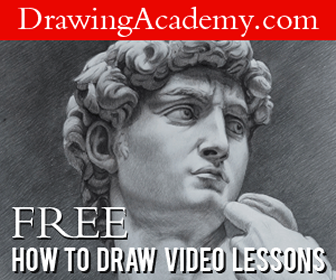 So does the world really need another drawing mentor? Well, I don’t know, I guess that’s for you, my fellow artists and friends to answer. Please let me know how I’m doing from time to time. 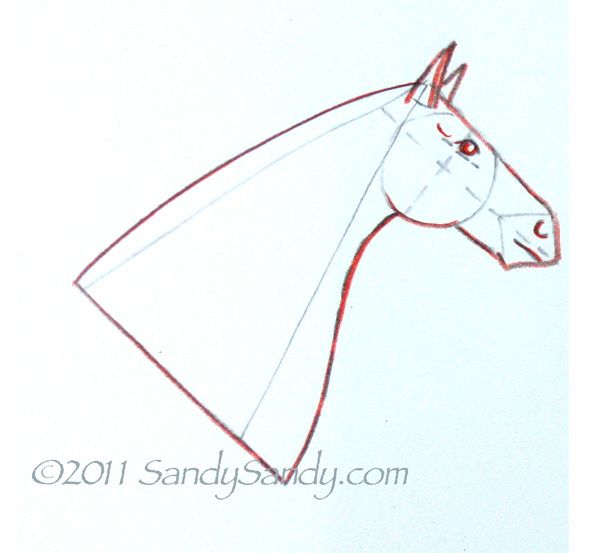 To launch the season, I’m starting off with a simple drawing demo of a horse portrait in profile. 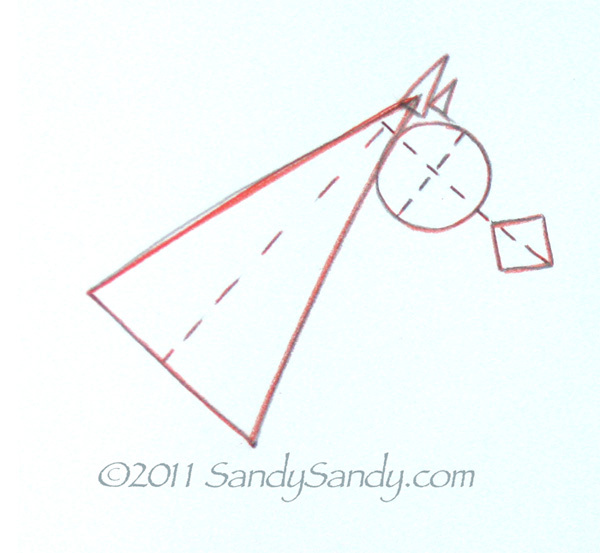 I’m showing how the foundation starts off with three simple shapes; a long triangle, a circle and a square. I divide the top half of the circle and find the location for the eye. The mouth follows the directional line of the head as does the top and bottom outline. The crest of the neck is drawn and the slight S curve is added to it’s underside. The outline of the nose is rounded some and the nostril is indicated with a semi-circle curve. The ears sit below the poll. Then lickety-split, while the area is still damp, I add darker values* and a few details. and. . . there you have it! I am always looking for ways t improve my drawings. 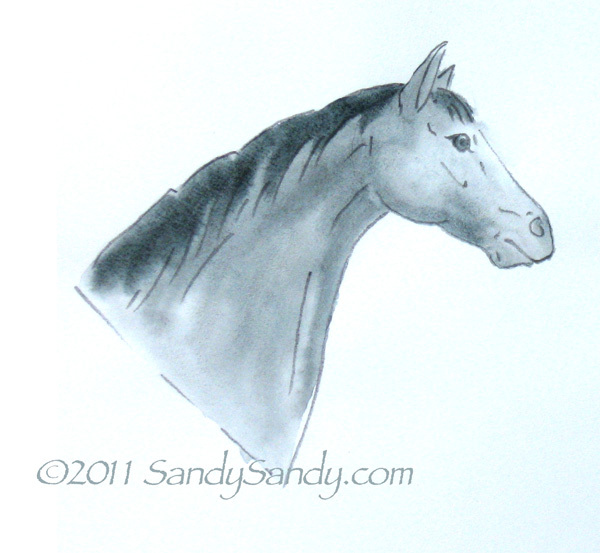 I especially want to become better at drawing horses. I love to paint them. Thanks! 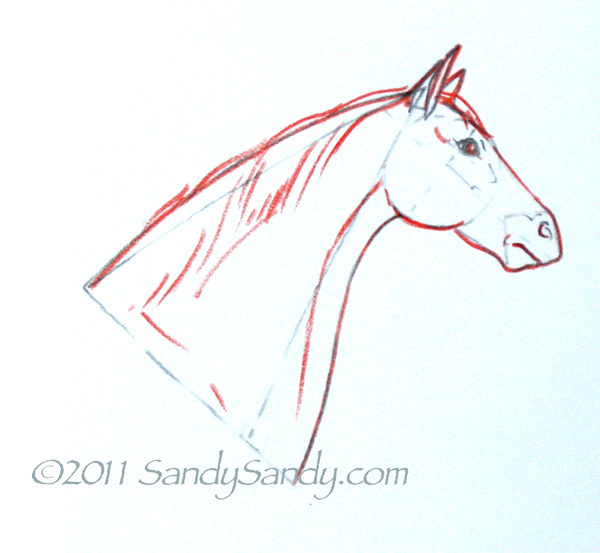 I love horses but for the life of me I can’t sketch one. I can trace one on canvas and paint it and it’s very good but can’t sketch one. I paint horses by feel. 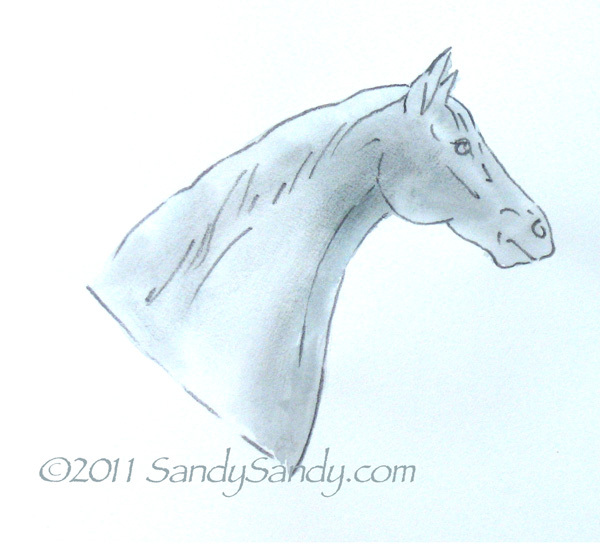 I am a horse trainer and can feel the movement of the horse but still can’t sketch one. I will try your method. I conceder myself a “want to be” artist, self taught. I read anything that will help me.